Have you been diligently eating only healthy foods on your weight loss journey, only to discover that your scale is going in the wrong direction? The problem may lie in not understanding just how many calories you’re consuming with those healthy ingredients and snacks. Nuts have amazing health benefits, and they definitely belong in your healthy eating plan. 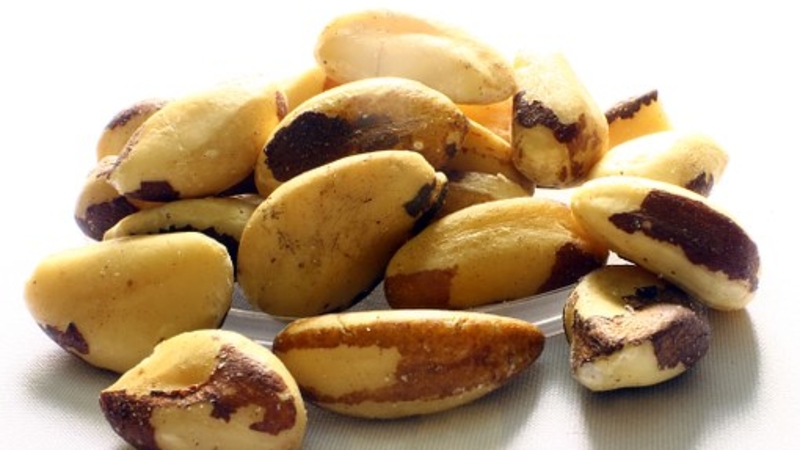 For example, Brazil nuts are packed with selenium, which is purported to be an anti-cancer superfood. Selenium helps boost your immune system and has anti-oxidant properties, as well. However, one cup of Brazil nuts contains 872 calories. Go easy on them or you could end up with a body the size of Brazil. Women everywhere rejoiced when the health benefits of dark chocolate were announced. Dark chocolate contains large amounts of iron and magnesium. It even even contains fiber, which everyone knows is a key ingredient for successful weight loss. But before you gobble down that entire bar, know this: There are almost 600 calories in one bar. Just one small ounce has 170 calories. Given that, a few nibbles are probably a better idea than a whole bar. Probiotics is a buzz word lately, and the best place to get them is inside a rich, fruit-filled yogurt cup, right? Wrong. Most of the popular brands of yogurt have added sugar (or sugar substitutes). One cup of yogurt has about 100 calories, but remember that the added sugar can a) increase cravings, and b) get stored as fat. What woman doesn’t feel clever choosing to chow down on some protein-packed cheddar cheese instead of junk food? While cheese is truly a healthy food when consumed in small quantities, it can sabotage your weight loss efforts if you don’t control your portion sizes. Just one ounce of cheddar cheese has about 114 calories. If you have a kitchen scale, you’ll see just how small one ounce is. In case you don’t, it’s about two tablespoons. Depressing, huh? The versatile and delicious avocado is valued by dieters for its healthy fats, which increase feelings of satiety. They are also loaded with nutrients like potassium and Vitamin B6. When you enjoy avocado, though, be aware that half an avocado has over 160 calories. And everyone knows that it’s easier to eat both halves than to let the other side go brown. There’s 320 calories right there. Enjoy. While everyone else was debating the differences between light olive oil, virgin and extra virgin, we turned the bottle around and checked out the calories. Yikes! Just two tablespoons of olive oil has 238 calories! Be careful of how much you use for your cooking, or you may inexplicably start packing on the pounds. The coconut is wildly popular right now. Home cooks are finding more and more ways to integrate this natural anti-biotic and healthful food into every recipe. Recipes are calling for coconut oil and shredded coconut, and women are using coconut milk and coconut water for cocktails, smoothies and sauces. While no one is disputing the health benefits of coconut, you may want to lower your intake just a bit if weight loss is your goal. Try to keep calm when you read this, but one coconut has over 1400 calories and a single cup of shredded coconut has over 280 calories. Moderation is the key to enjoying any of these healthy, calorie-packed foods. It’s not worth giving up the tremendous health value in an effort to lose weight. As long as you indulge lightly while keeping in mind the calorie counts, you should be good to go.